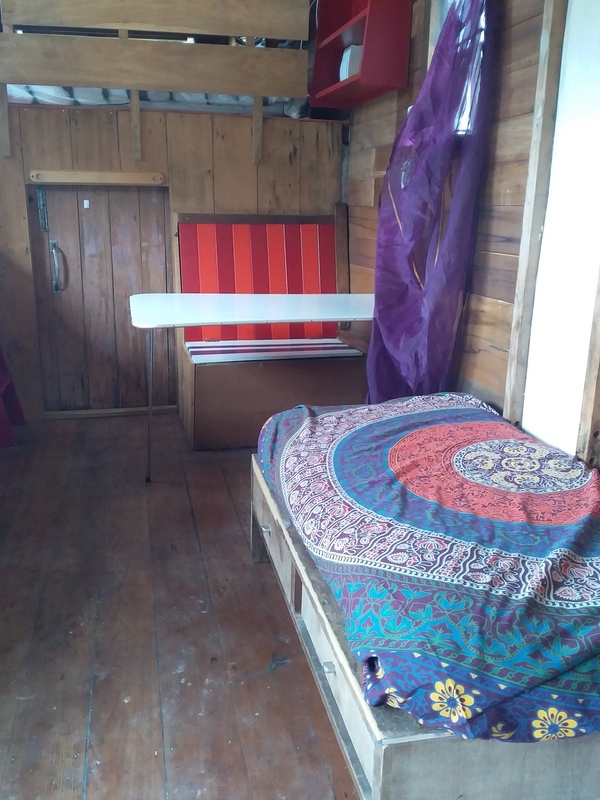 Come and stay in our beloved Gypsy House Truck on the hill. 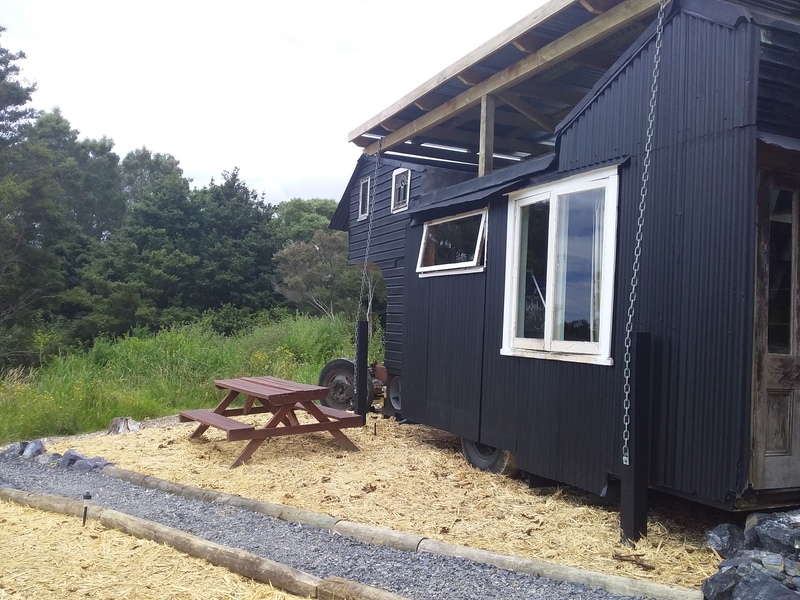 This beautiful tiny house oozes history and character, with beautiful recycled kauri, lead-light windows and a comfy loft style bed. Prepare your meals in your kitchenette and dine at the built-in booth or out on the picnic table for farm vistas or a milky way experience. 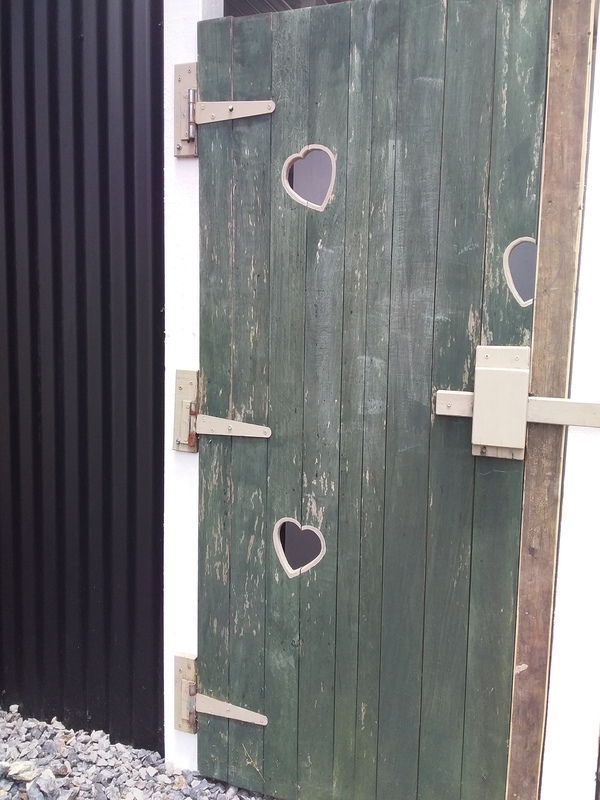 A semi-attached shower and compost loo cap off your unique tiny home experience. 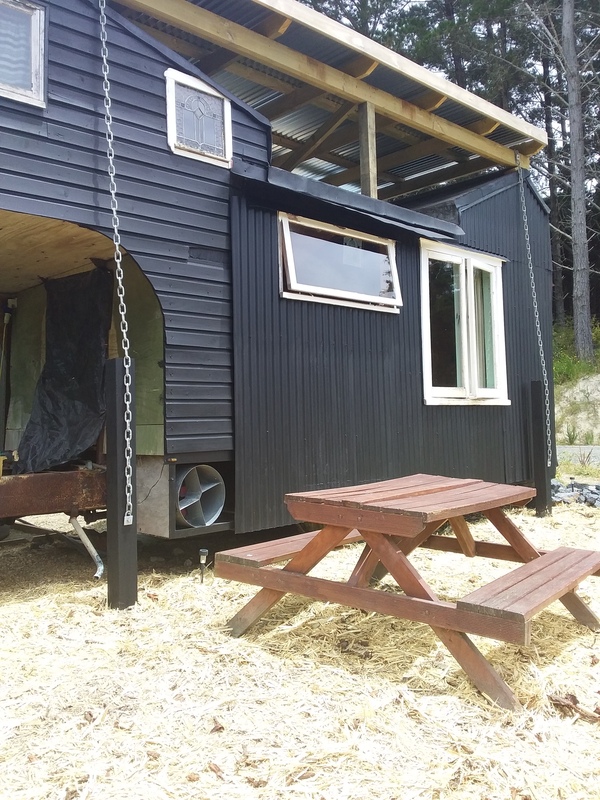 The Gypsy House Truck at Tara Retreat is a lovely space for relaxation, privacy, and play – a perfect place for couples to get the most out of a rejuvenating getaway to Magical Mangawhai! Check availability and instant book on our listing on AIRBNB or book directly with us.